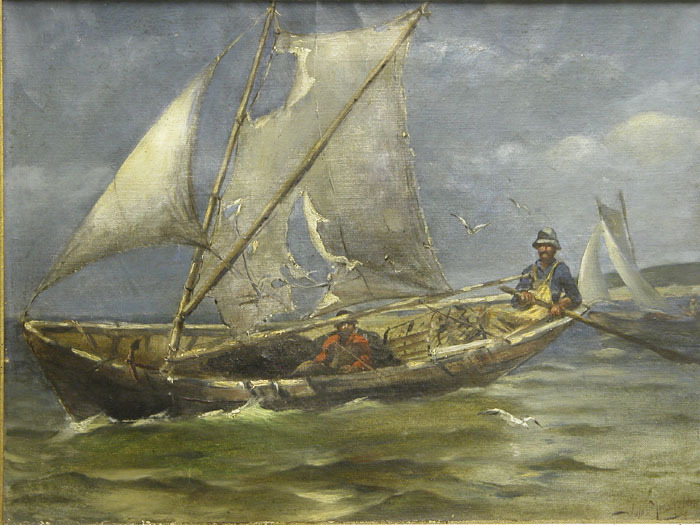 Painting of two lobster fishermen in a dory, with sails set. 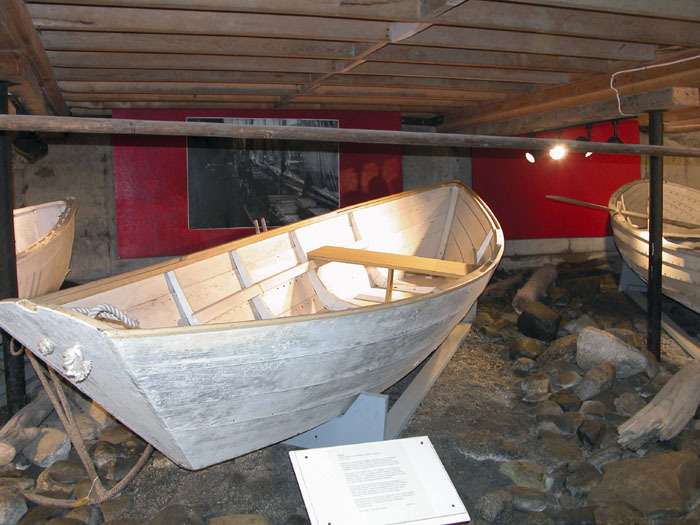 The dory is sloop- rigged with a sprit mainsail, a typical inshore fishing dory of Maine and Massachsetts. The boat may have encountered a storm, tearing the sails, but the torn sail is more likely artistic license, or just an old one on its last legs. 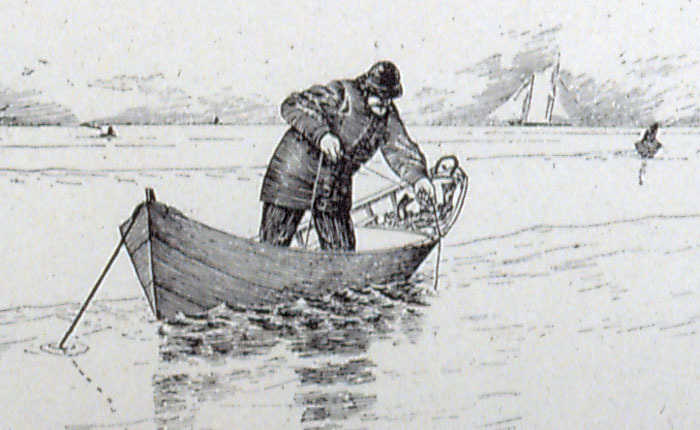 Both fishermen are wearing oilskin trousers to stay dry while hauling traps. There is a lobster pot in the boat and a small anchor in the bow. The artist does not show up in any of the regular sources so may have been a talented amateur. Lobster fishing from a dory. 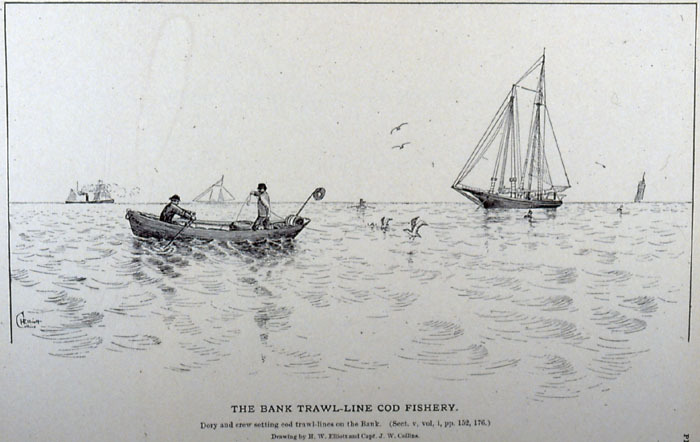 Note that the header, or the net opening for lobsters to enter the trap, is at the end of the trap rather than on the sides. 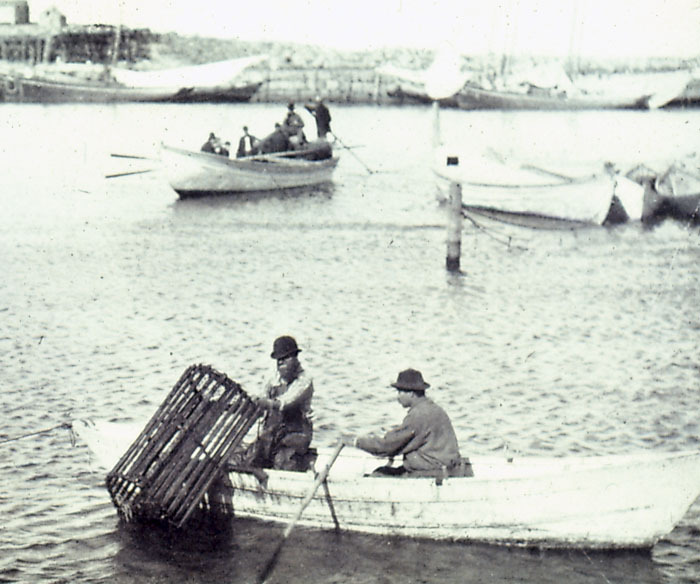 There is a mackerel seine boat in the background, steered with a steering oar, along with a nest of more seine boats. In the background a number of fishing schooners lie along a fish pier. This photograph was likely staged, and was taken in Gloucester Harbor, Massachusetts.